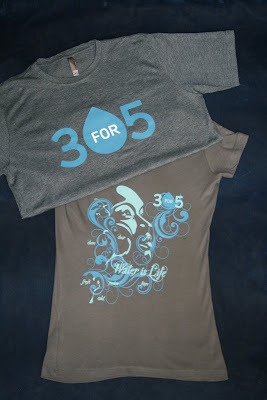 3for5 Blog: Get a 3for5 T-shirt with a Donation of $25 or More! Get a 3for5 T-shirt with a Donation of $25 or More! 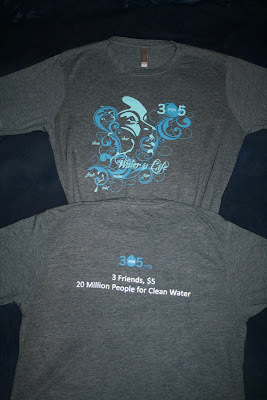 We are excited to announce the availability of 3for5 t-shirts! These soft, pre-shrunk, custom-designed shirts look and feel GREAT! Both the men's heathered, dark-denim poly/cotton blend and the women's dark grey cotton v-neck shirts look cool and represent an amazing cause and initiative. Multiply your impact and look good at the same time! T-shirt preferences (male/female, size, & style (logo or face)). SIZING NOTE: Women's shirts run a little small - more like juniors’ sizing. We recommend that adult women order a size bigger than what they normally wear. In stock shirts will ship out within 5 business days of receiving your information. If your size is not in stock, we will email you with an estimated ship date (typically within 3 weeks). SHIPPING NOTE: Shipments outside of the continental US may incur additional shipping costs.